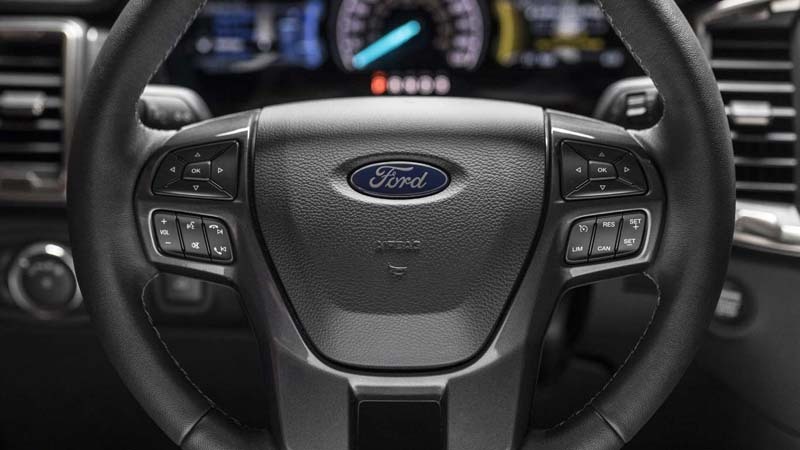 A forum member at Ranger5G found an online listing for a two-wheel drive 2019 Ford Ranger, complete with VIN number, window sticker, and fuel economy rating. 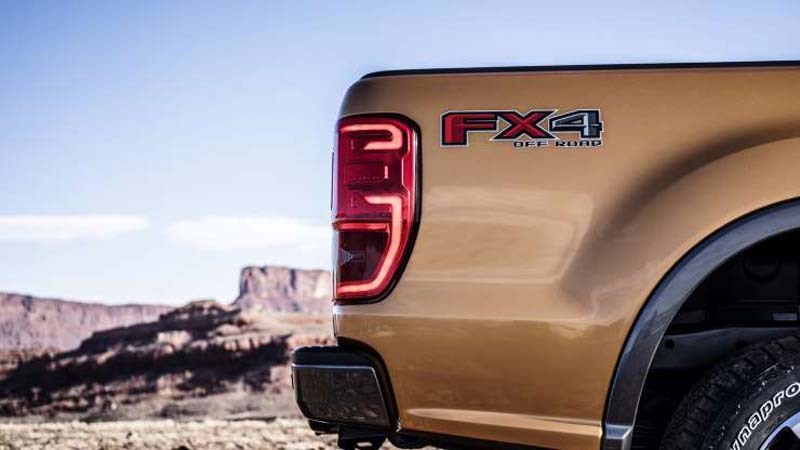 The truck is a 4x2 XL four-door SuperCrew with a short bed and just a few options, ready to walk out the door for an MSRP of $34,505. 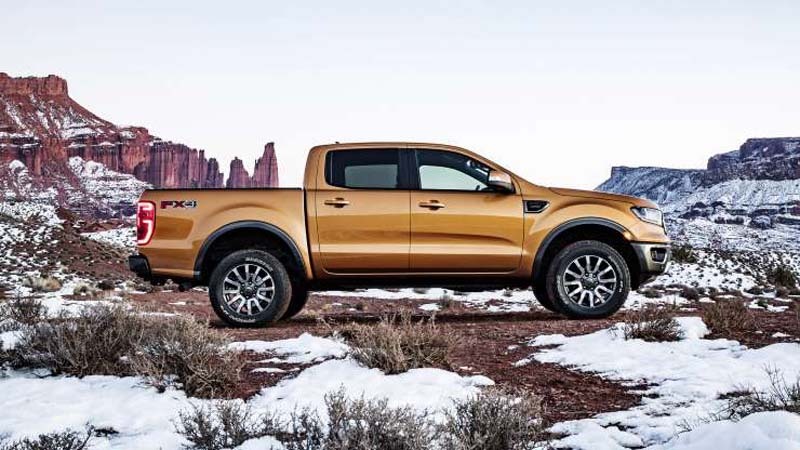 The Ranger will only offer one engine in the U.S., a 2.3-liter EcoBoost four-cylinder with 270 horsepower and 310 pound-feet of torque shifting through a ten-speed automatic. The mpg numbers on the Monroney: 21 city, 26 highway, 23 combined. How's that square with the competition? According to the EPA, the 2WD 2019 Chevrolet Colorado with the 2.5-liter four-cylinder (with just 200 hp) comes in at 20 city, 26 highway, and 22 combined. A 2WD Colorado with its optional six-cylinder gets 18 city, 25 highway, and 20 combined. A 2WD 2019 Honda Ridgeline with its 3.5-liter V6 scores 19 city, 26 highway, and 22 combined. A 2WD 2019 Toyota Tacoma with the 3.5-liter V6 (278 hp/265 lb-ft) gets rated 19 city, 24 highway, and 21 combined. That puts the Ranger at the top of the heap, narrowly. How does the Ranger compare to other haulers in Ford's stable? 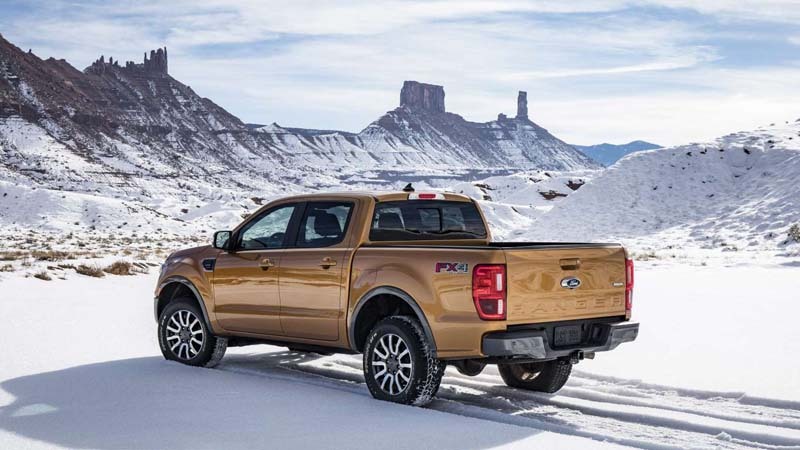 The base 2019 Ford F-150 XL with two-wheel-drive and the 3.3-liter V6, putting out 290 hp and 265 lb-ft, rings in with 19 city, 24 highway, and 22 combined. Upgrade to the 2.7-liter EcoBoost V6 with 325 hp and 400 lb-ft and you get a rating of 20 city, 26 highway, and 22 combined. 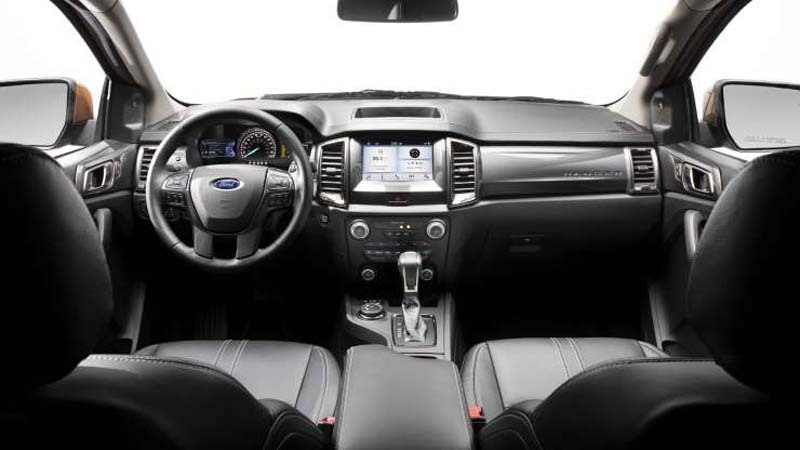 For a match-up of engine-against-engine, the 2019 Ford Explorer with the 2.3-liter EcoBoost, here with 280 hp and 310 lb-ft and a six-speed automatic, is rated at 19 city, 27 highway, and 22 combined. 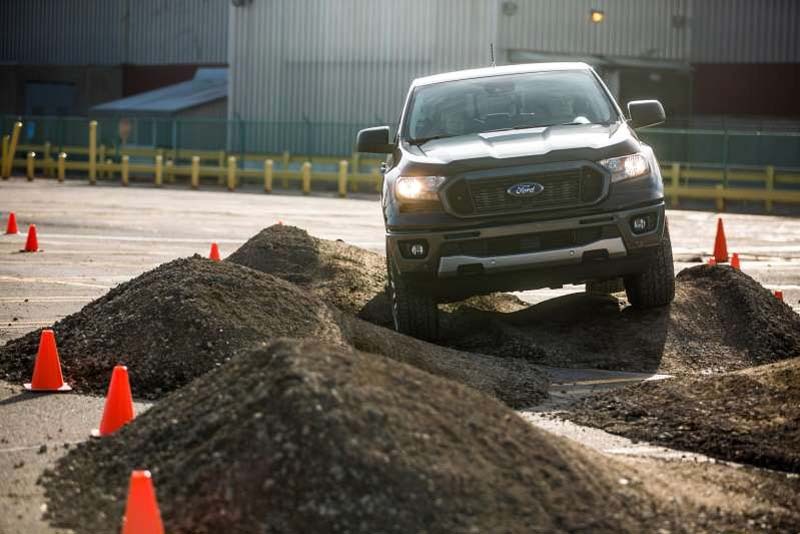 When Roadshow asked Ford about the figures, the carmaker responded via e-mail, "We're excited to share fuel economy figures for the all-new Ford Ranger with 2.3-liter EcoBoost and will do that once we receive official certification from the EPA." From these stats it looks like the Ranger wins the battle of the gas-powered, 2WD mid-size pickup trucks. The 2019 Colorado with the Duramax diesel, unsurprisingly, stands above the crowd at 22 city, 30 highway, 25 combined, even though from 2018 to 2019 the diesel Colorado lost two city and two combined mpg. 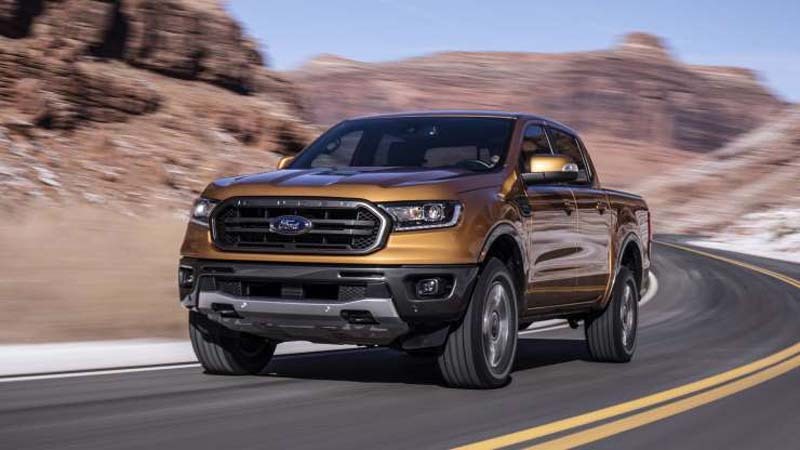 Compared to other Fords, though, it looks like the Ranger will save buyers a heap of money on the purchase price, but maybe not as much as one might hope at the pump. Real-world testing will be the measure of all things, though, and that will come soon.